As the lead UX designer for the Fandango Android app, I've been fortunate enough to witness its tremendous growth and success. During my tenure, the app has been downloaded over eight million times, jumped to a 4.5 star rating, and earned a top spot in the free Entertainment section of Google Play. In addition, the app has received praise in a number of technology blogs and earned several awards. 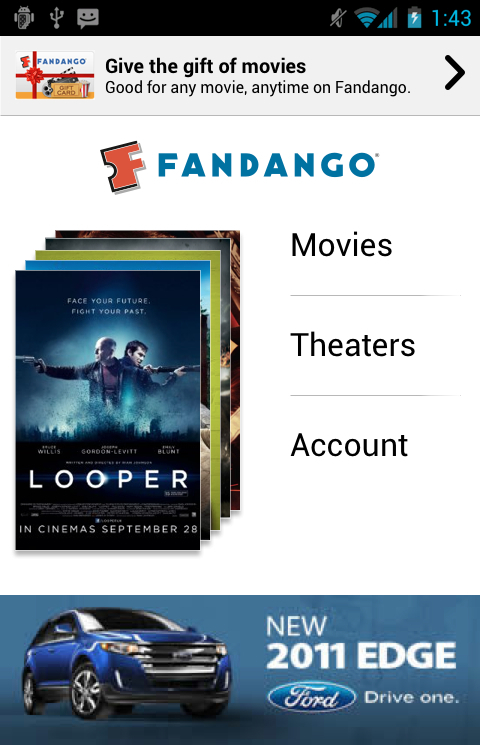 I'm extremely proud of our achievements and the Android app remains one of my favorite success stories at Fandango. Earlier versions of the app employed a slide-out pane for navigation. As the app evolved, we moved to a home-screen menu approach. 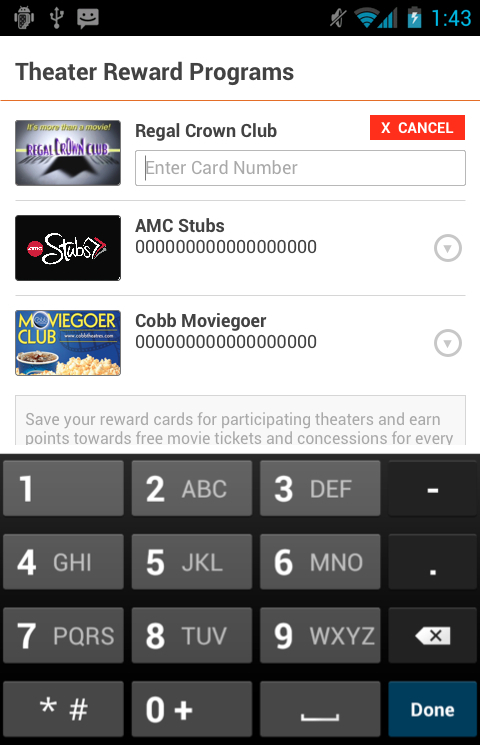 This gave us space to feature movies that users were most likely to get showtimes for, and a dedicated area to promote new features and Fandango offers. 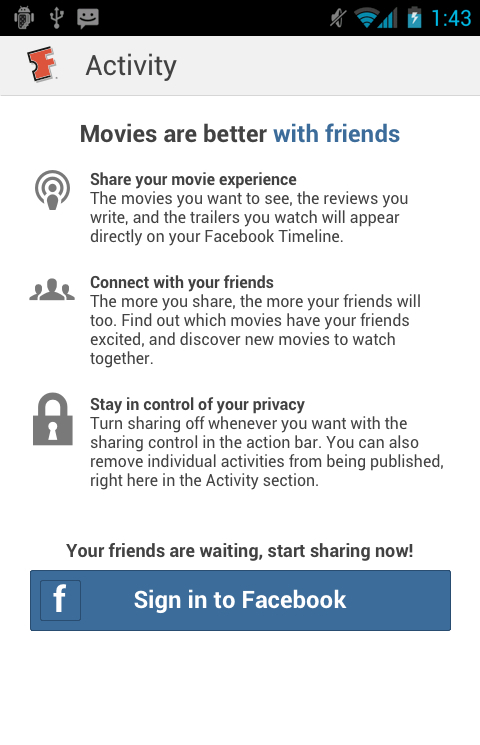 The Movies section is one of the prime examples of how we've integrated Android design patterns into the app over time. Numerous visual enhancements, coupled with elements such as an action bar, swipe views, and spinners, have allowed us to gracefully expand our feature set in the Movies section. Many of the changes that we've made to the app have been in an effort to consolidate and simplify. For example, the Theaters section was previously separated into two separate, tabbed pages. 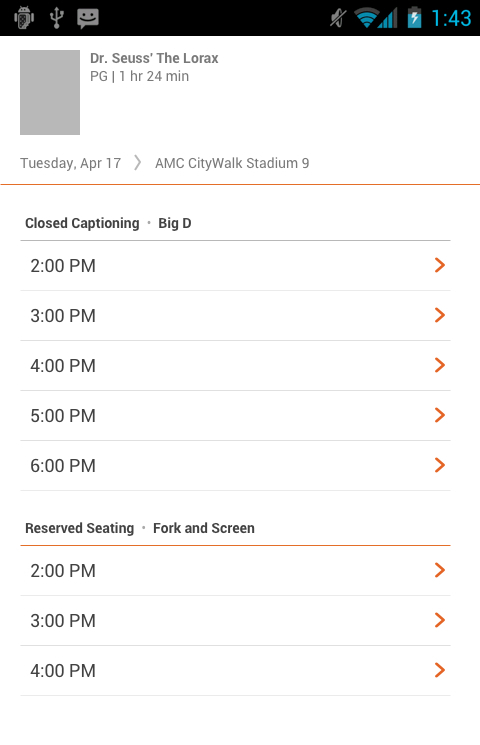 By combining these into a single page, saved theaters are prioritized and the user can easily browse nearby theaters just by scrolling down. Even the most utilitarian areas of the app have gotten design love. In My Account, one of the specific problems we sought to solve was how to elegantly indicate the "signed in / signed out" status of the Fandango and Facebook accounts. We found success with toggle switches and simple, straightforward messaging. 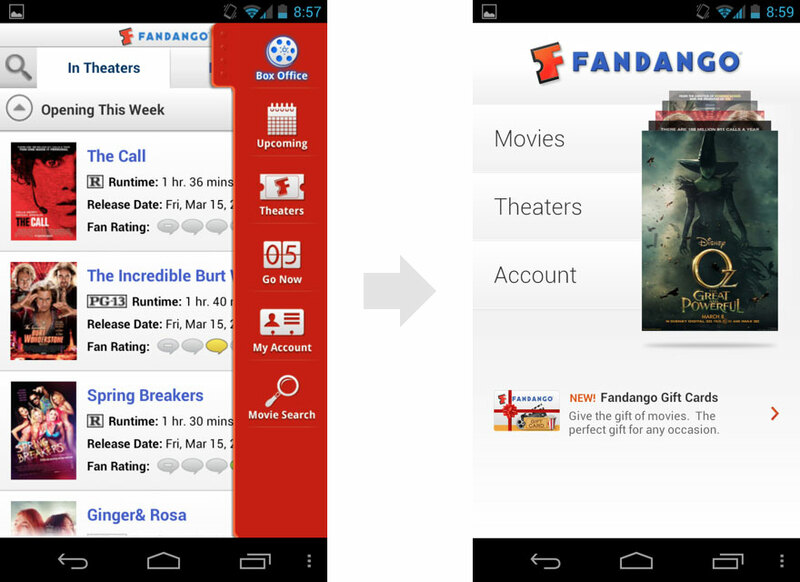 Guiding the evolution of the Fandango Android App has been an incredible journey. 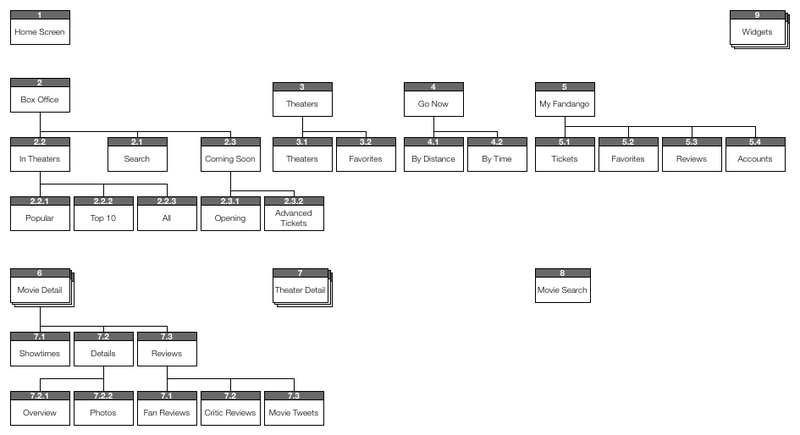 Below is a small selection of wireframes, user flows, and other design artifacts that I created along the way. Get your movie tickets faster than ever.